Arginine Alpha-Ketoglutarate (AAKG) can boost short-term nitric oxide (NO) levels which creates a muscle growth environment in your body by increasing the volume of blood flowing through muscle tissue which leads to increased oxygen and nutrient delivery, glucose uptake, muscle velocity and power output. 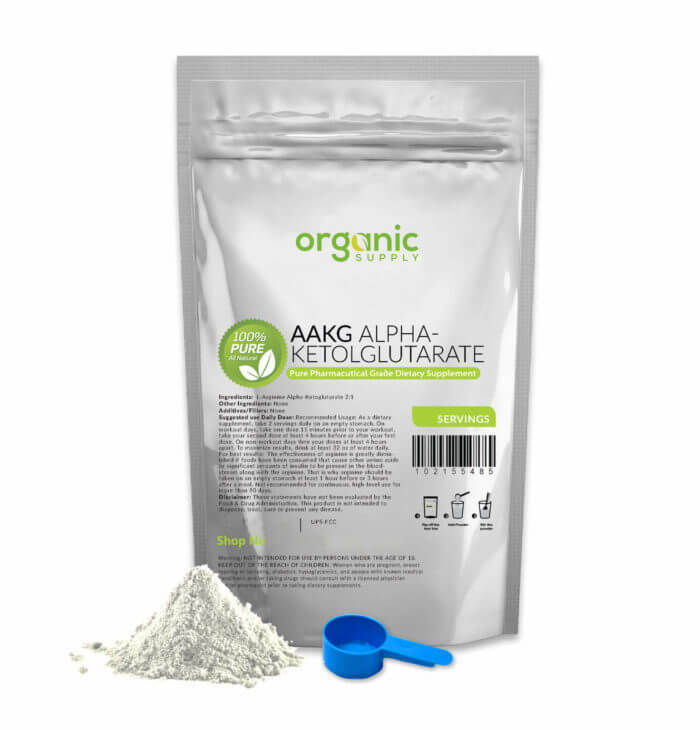 AAKG helps amplify muscle-growth signals giving faster gains in lean mass and accelerates both fast and slow twitch muscle fiber for greater strength, improved muscle recovery, and increased endurance. The increased blood flow may also contribute to enhanced sexual performance. Supports protein synthesis. Increases level of nitric oxide to extend muscle pump. 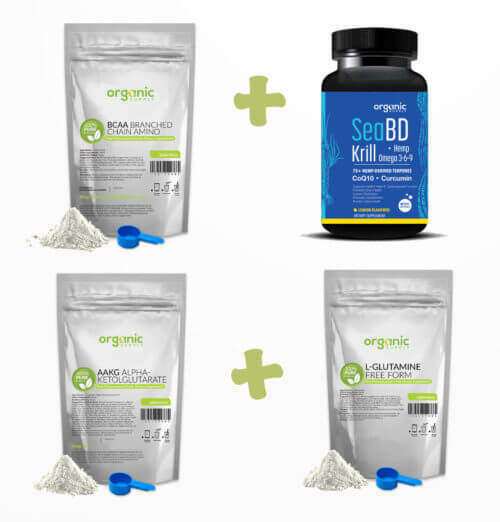 Increases blood flow & nutrient delivery to muscle tissue. Improves circulatory health and sexual function. May increase levels Growth Hormone (GH). As a dietary supplement, take 2 servings daily on an empty stomach. On workout days, take one dose 15 minutes prior to your workout, take your second dose at least 4 hours before or after your first dose. On non-workout days time your doses at least 4 hours apart. To maximize results, drink at least 32 oz of water daily. The effectiveness of arginine is greatly diminished if foods have been consumed that cause other amino acids or significant amounts of insulin to be present in the bloodstream along with the arginine. That is why arginine should be taken on an empty stomach at least 1 hour before or 3 hours after a meal. Not recommended for continuous, high-level use for more than 90 days. 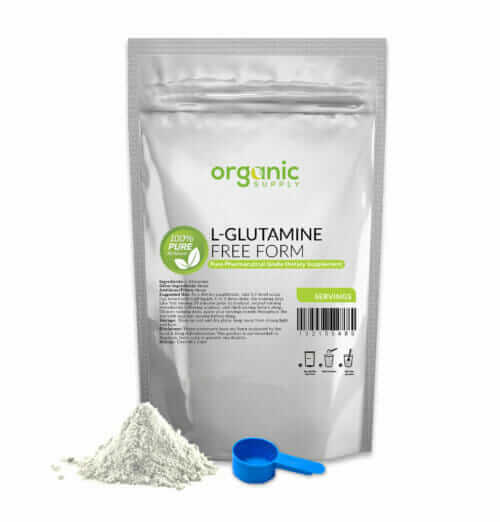 Excercise QueenAAKG powder along with Glutamine really does wonders for post workout recovery.